“GREEN GATES” is a real pride of Panchmal Properties. We are going to develop 3.44 acres of land out of 7 acres; with G+2 commercial complex consists of 25060 Sq.Ft area where we plan to plant all facilities to cater our prestigious residents who are going to reside in 4 Nos. 9 storey towers comprises 258 apartments and also to the local shakghinagareans. This complex will have a HEALTH CLUB and International standard INDOOR SPORT COMPLEX with badminton court, billiards rooms, indoor game rooms, YOGA room, ground exercise rooms, fully equipped GYM with noiseless flooring and a MINI THEATRE and fully covered SWIMMING POOL filtered by “O” Zone Technology attached with TODDLER pool. 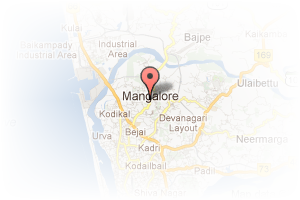 Address: kadri, Falnir, Mangalore, Karnataka, India. This Broker Profile page for "Panchmal Properties" has been created by PropertyWala.com. 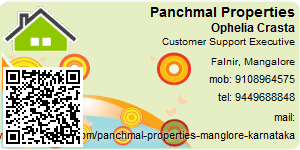 "Panchmal Properties" is not endorsed by or affiliated with PropertyWala.com. For questions regarding Broker Profiles on PropertyWala.com please contact us.